The ten-year funding arrangement between federal, state and local government contains a range of measures to boost tourism and scientific research in Tasmania. Up to $82.3 million has been provided for border services at Hobart Airport, with international freight and passenger flights to begin in 2020. “To have this airport restored to international status has been a dream of this government for many years,” Premier Will Hodgman said. Discussions with international carriers are ongoing, and Australian Federal Police will be placed at Hobart Airport once international flights begin. The deal also includes $450 million to upgrade Australia's Antarctic research station network, as well as $576 million for a replacement bridge at Bridgewater north of Hobart. There are also investments aimed at cutting traffic congestion including a bus interchange and a northern suburbs transit corridor. “The ... deal is about driving investment into the city to make it an even better place to live and work,” Prime Minister Scott Morrison said. There is also $30 million to provide up to 100 affordable houses. Labor says the deal lacks detail, is comprised of a lot of old announcements, and should have included funding for light-rail in Hobart's north. The Federal Government also has City Deals with Townsville, Launceston, Darwin and Perth. Tasmania’s Tourism Industry Council chief Luke Martin has dubbed the deal “a bore”. 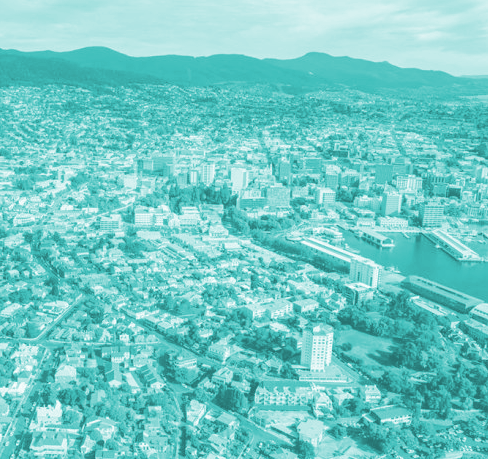 “What's probably missing is that really big game-changing project or development that we can look to and say; ‘That's about future-proofing Hobart for the next few years’,” he said. Former Prime Minister Malcolm Turnbull was keen to promote a planned funding injection for the University of Tasmania's Science, Technology, Engineering and Mathematics Centre (STEM). But Scott Morrison says the university had benefited enough from federal funding. The university now says it will fund the STEM centre itself.